Following on from our article last week where we listed 35 random facts on Steven Spielberg's E.T. 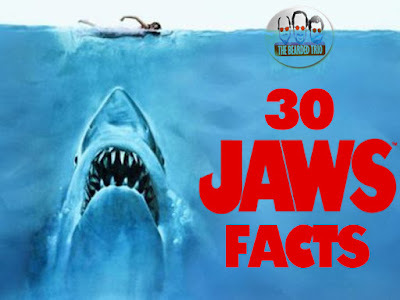 The Extra Terrestrial, I felt it was only fitting that I assemble a bunch of random facts on one of the my favourite Spielberg movies, Jaws. 1 - According to Box Office Mojo the movie’s budget was $7 Million and took $470 million at the box office worldwide and domestic. 3 - Several decades after the release of Jaws (1975), Lee Fierro, who played Mrs. Kintner, walked into a seafood restaurant and noticed that the menu had an "Alex Kintner Sandwich." She commented that she had played his mother so many years ago; the owner of the restaurant ran out to meet her, and he was none other than Jeffrey Voorhees, who had played her son. They had not seen each other since the original movie shoot. 4 - When composer John Williams originally played the score for director Steven Spielberg, Spielberg laughed and said, "That's funny, John, really; but what did you really have in mind for the theme of Jaws (1975)?" 5 - You only hear the signature piece when the shark is actually present on screen. The kids with the fake fin for example didn’t have the music playing. This was to condition you that the music was associated with the shark. 6 - Robert Shaw’s Quint and Richard Dreyfuss’ Hooper had a wonderful tension on film. This may have something to do with the two in actual life hating each other. 7 - Spielberg re-shot a scene in film editor Verna Fields' swimming pool, using his own money to pay for the shoot. 8 - Jon Voight, Joel Grey and Jeff Bridges were all considered for the role of Hooper, which eventually went to Richard Dreyfuss. 9 - The famous line “You’re gonna need a bigger boat” came about from a catchphrase on set after the crew saw the boat they had to contend with. It was too small for all the crew and equipment and was nicknamed S.S. Garage Sale. Roy Scheider, who played Brody would often ad lib the catchphrase in different scenes. Obviously the one in the movie stayed. 12 - At one point while shooting the Orca unintentionally sank causing the camera to get wet. Fearing they had lost a load of shots they quickly rushed the film to New York where they were able to save the footage. 13 - Robert Shaw enjoyed his drink. He would often turn up on set and be more than a little razzled. At one point he couldn't deliver his lines for the famous Indianapolis speech. He asked Steven Spielberg if he could come back the next day. When he did, well we got the incredible and captivating scene we see today. 14 - The shooting star that appears during the night scene where Brody is in the foreground on board the boat is actually real and not a special effect. 15 - The movie was scheduled for 55 days shoot. It actually took 159 days. 16 - Bob Mattey who built the shark also built the giant squid in 20,000 Leagues Under The Sea and also worked on the Disney classic Mary Poppins to name a few. 17 - In one of the scenes you can see a person taking a photo of the filming going on outside their house. 18 - Ben Gardner actually had more lines in the movie but unfortunately were cut and destined to the land of deleted scenes. 19 - Another deleted scene shows Quint buying piano wire from a musical store. When he enters he notices a kid playing ODE TO JOY on a clarinet. Quint starts humming along in harmony. When the child messes up Quint responds by shouting the notes. 21 - Lee Fierro, who plays the bereaved Mrs Kintner actually slaps Brody hard as she said she couldn't fake the slap. Her scene became such a hit (no pun intended) with fans that she would get requests from devoted Jaws followers to slap them across the face. 22 - Charlton Heston was considered for the role of Brody. When he found out he didn't get the part he said he would never work with Steven Spielberg again. 23 - The book, Jaws is different in many ways to the movie. 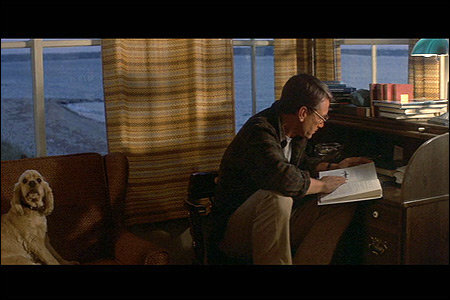 for example in the book by Peter Benchley Hooper has an affair with Chief Brody's wife. This was actually in the first draft for the movie. Also in the book Mayor Vaughn had dealings with the mafia and was under pressure from them to keep the beach open. Angeles to begin post-production on the film after the film’s gruelling shooting schedule and left the shot up to the production’s second unit. 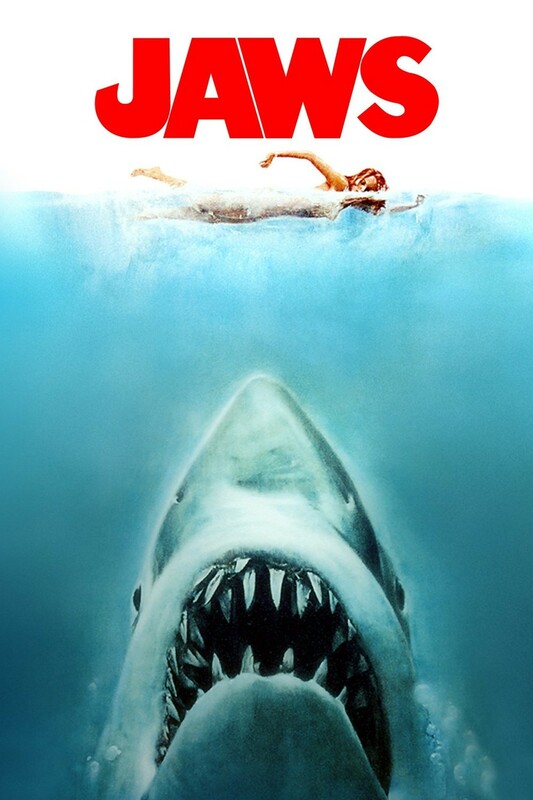 25 - The famous Jaws poster is now ingrained in movie history. Regarding the swimmer at the top of the poster, artist Roger Kastel was sketching the female artist at his studio for an ad in Good Housekeeping. He asked her to stay an extra half-hour and had her pose for the image by standing on a stool and pretending to swim. 26 - Jaws won three Academy Awards: Best Film Editing, Best Original Dramatic Score, and Best Sound. It was also nominated for Best Picture, and lost to One Flew Over The Cuckoo's Nest. Steven Spielberg was not nominated for Best Director. 27 - This gem of a video show Spielberg watching the nominations for Jaws coming in and you can see the disappointment when he wasn't nominated for best director. He was also disappointed that the movie was only nominated in four categories calling it a "commercial backlash." 28 - Although the movie is set in midsummer, producers began filming in early May 1974 to avoid an actors' strike that was scheduled to begin July 1. If you look closely in the background of some scenes, you can see trees with no leaves. 29 - British actor Robert Shaw was so concerned about owing taxes to the IRS on his income that he flew to Bermuda or Canada on almost all his days off to limit his work hours in the United States. 30 - Steven Spielberg really wanted to direct Jaws after Duel calling it Duel on the water. 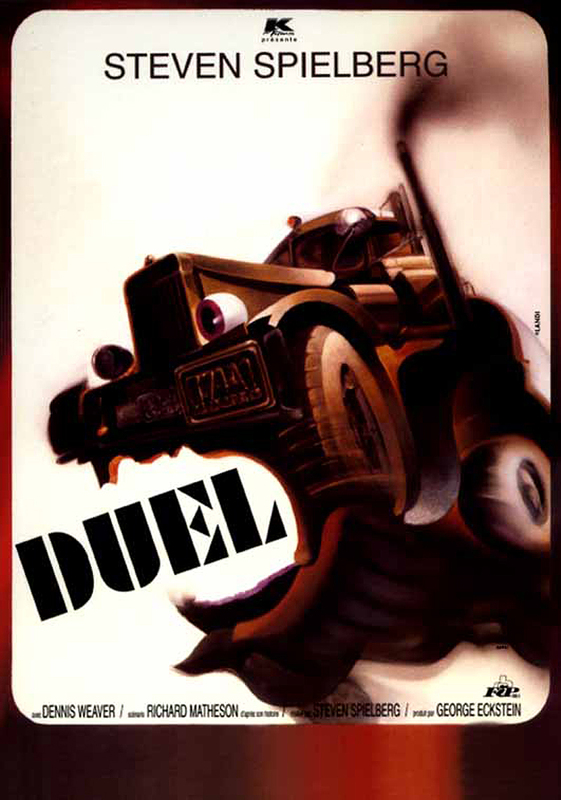 He was even inspired by a Polish poster for Duel that showed the truck engulfing the car in its mouth. He later said on filming Jaws that it was an experience he would never want to repeat but admitted the whole project made him stronger.